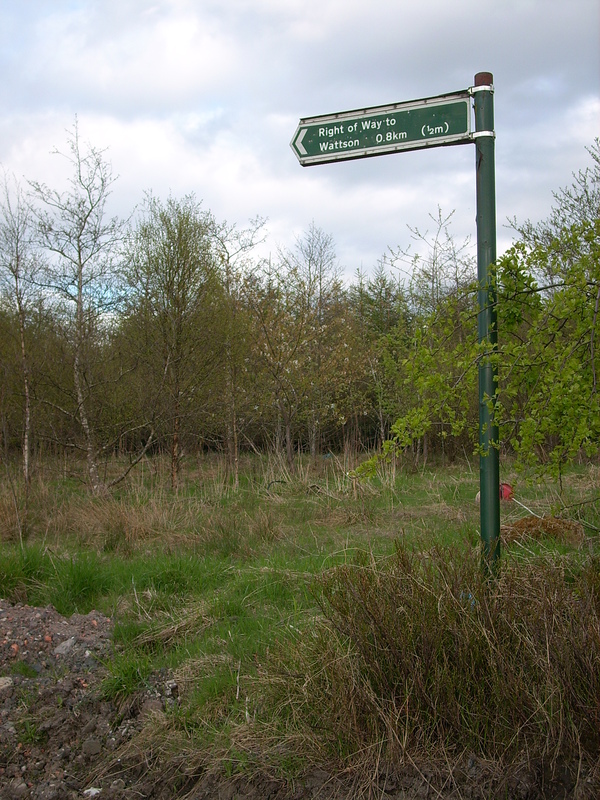 The route starts 70m north of Berryhill Cottage, Old Biggar Road, at grid reference NS 76783 70225. This is clearly signposted to Wattston, 0.8km. 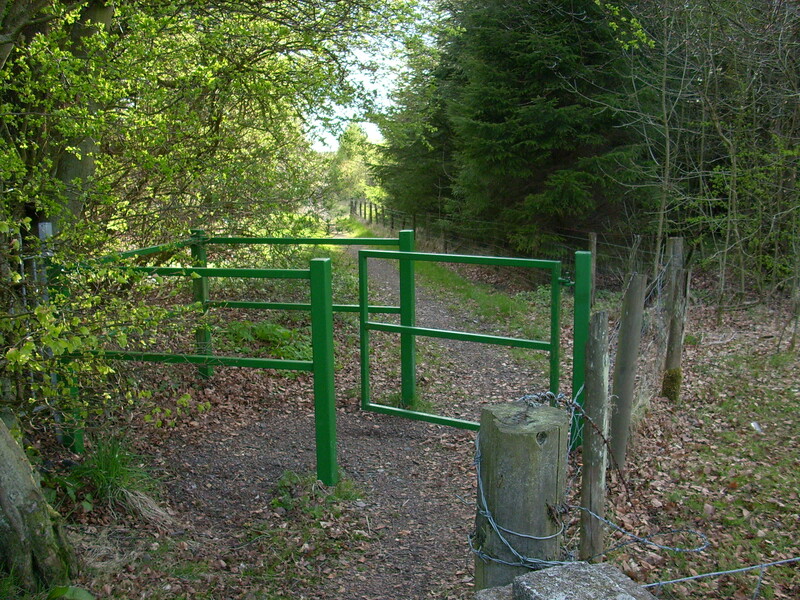 The route is wide, and is blocked to vehicles by a locked metal gate. A gap between this and a rock allows access to pedestrians and bicyles. 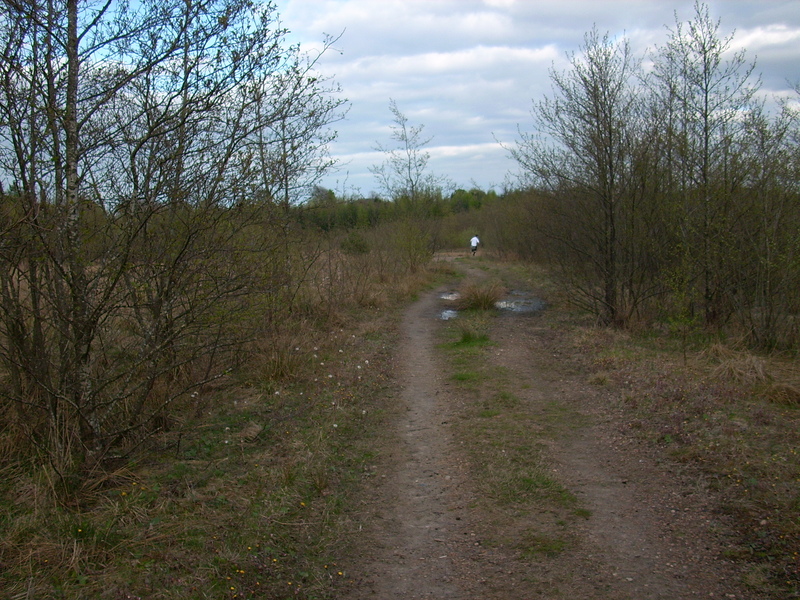 The path then heads NE through mixed woodland, and the surface itself varies from large aggregate at the start, to red ash, to a mix of compacted soil and smaller aggregates, which is good for the majority of the route, although there are some wet/muddy patches. 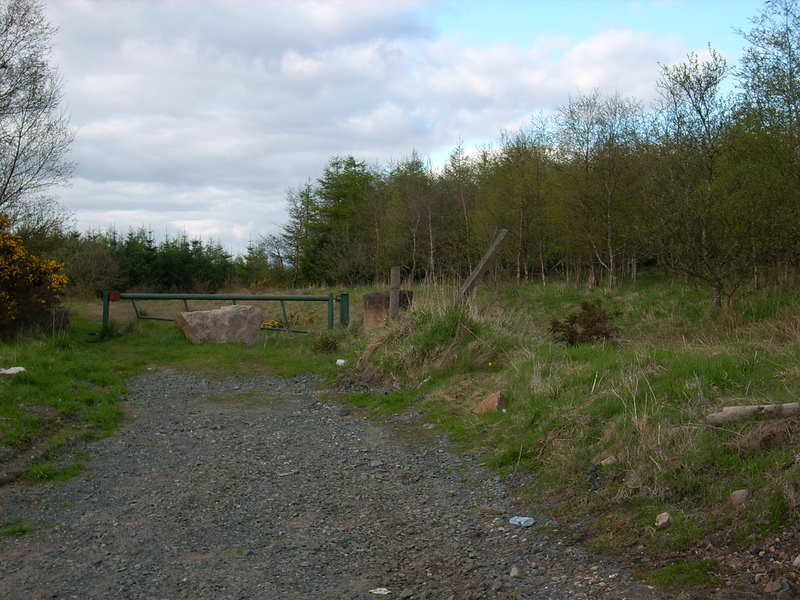 After about 450m the route turns to S for about 150m, and curves around before heading E, where it rises to a green metal kissing gate at NS 77522 70253, where there is a signpost pointing to Riggend, 0.8km. 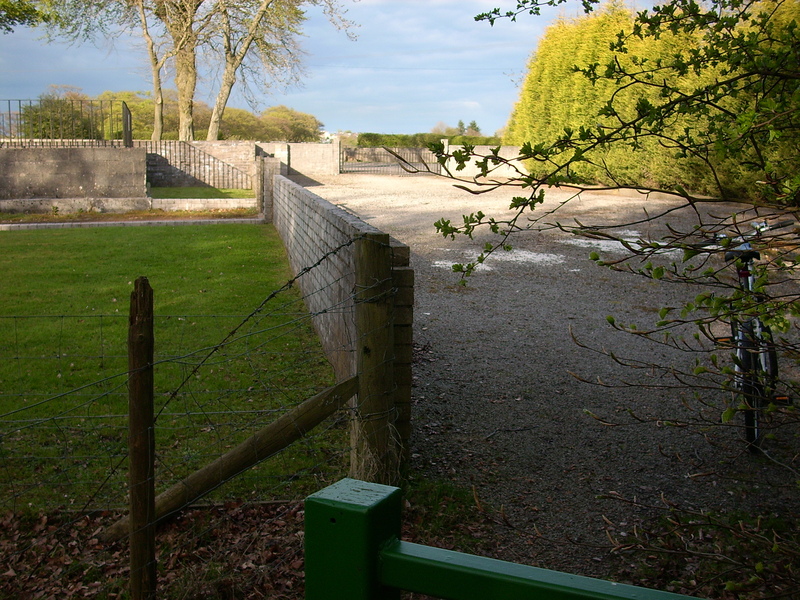 Going through the kissing gate, you arrive in what appears to be a car park for Drumgray House, and access to the road is gained by crossing the car park and leaving through an unlocked double gate, on to Drumgray Lane, just south of Drumgray House at NS 77561 70266. Someone has blocked the Brackenhirst to Cleddans path and Brakenhirst to New Monkland path.